I was annoyed by the amount of times I have to avoid collisions with the many dragonflies flying everywhere in the MPSH that evening after club activities. It was rather hard to identify those dragonfly species as they were zipping hectically around but I later found out that those dragonflies are likely one of the most common species of dragonflies found in Singapore and particularly at the Kent Ridge Park; Neurothemis fluctuans. Dragonflies are insects belonging to the order Odonata. There are a total of 106 odonate species that has been recorded from Singapore (Cheong, 2008) and 31 of those species are found in Kent Ridge.This thus explains the amount of dragonflies observed in NUS due to its close proximity with Kent Ridge. A study by the NParks observed that there are a number of dragonfly species that have adapted well to the urban setting of parks and garden(NParks, 2010).The garden/grassland in NUS also serves as a good habitat for these dragonflies as these habitats provide them with high diversity of insects for them to prey on. Presence of dragonflies are important indicators for ecological balance. They lay their eggs in or near only freshwater(NParks, 2010). Therefore, their high abundance in Singapore are good indications for our good quality of freshwater. In addition, dragonflies preys on mosquitoes thus are also a good defence against mosquito related diseases. 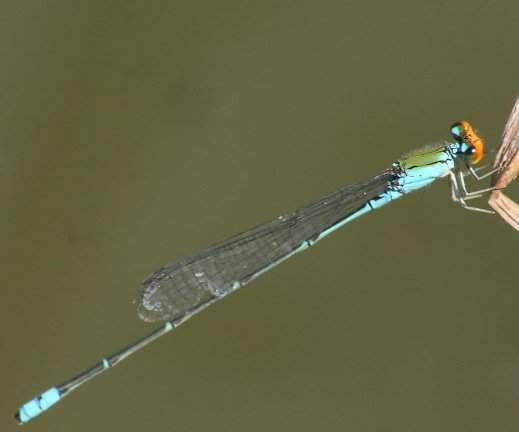 Singapore has a high diversity of dragonfly species such that sightings of several rare species of dragonflies such as Pseudagrion rubriceps were recorded. Such high species diversity and abundance of dragonflies could mainly be attributed to the spread of parks throughout Singapore and the good quality management of Singapore water. Their predatory characteristics made them valuable in our ecological system as they maintain the population of harmful insects. Efforts are thus done by NParks to help these dragonflies thrive in Singapore. This entry was posted in Uncategorized and tagged groupA3 by Farhana. Bookmark the permalink.